The EC would like to thank all of the tireless volunteers who helped make a memorable Durga Puja 2016. Thanks also to everyone who celebrated with us this weekend. We have tried our best to create a welcoming, homely, relaxed & fun experience for everyone to enjoy and cherish! 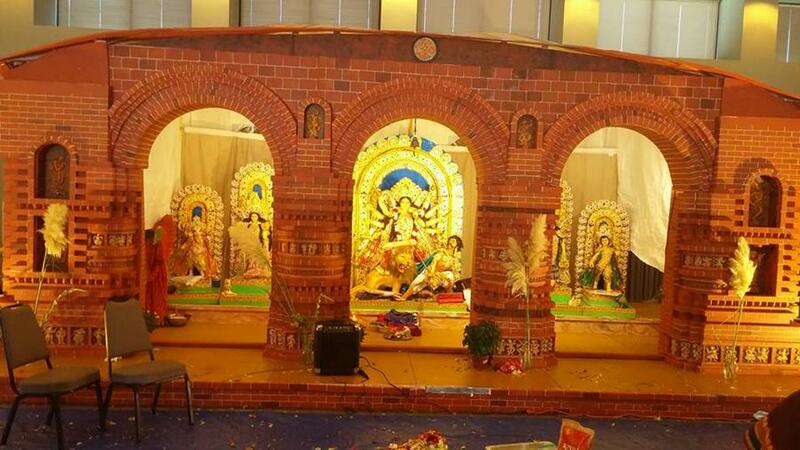 The breathtaking pandal based on Bishnupuriya architecture. We will be celebrating Laxmi Puja this coming Saturday October 15th @ Hoover Middle School (3501 Country Club Dr. Lakewood, CA 90712). Please RSVP as we'd like to avoid shortage or wastage of food.